A comprehensive guide covering every aspect of how to backpack—from planning a first trip to advanced wilderness travel. 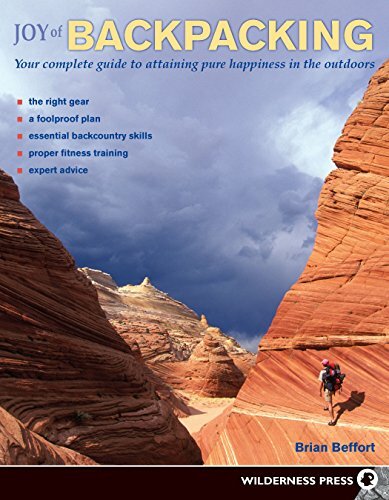 For those new to the activity, longtime backpacker and author Brian Beffort covers the fundamentals, with sections on trip planning, gear, backcountry nutrition and cooking, navigation, and other essential wilderness skills. You will also learn what to expect on the trail and in camp, and how to stay safe with first aid, weather preparedness, and more. For experienced packers, this book is filled with practical tips and inspired ideas on how to update and refine your approach to backpacking based on trends in lightweight gear, high-tech gadgets, changing wilderness rules, and increasing opportunities for wilderness travel around the world. Some of Brian Beffort's favorite moments have taken place while exploring the American West and other parts of the world while carrying everything he needs on his back. He is also the author of Afoot & Afield Las Vegas & Southern Nevada: A Comprehensive Hiking Guide. He works as the Associate Director of Friends of Nevada Wilderness.